Will they call it Porcupine? Or perhaps Platypus? Regardless of the name, Google’s upcoming mobile update will likely shake up the search landscape and ensure that brands and companies work to make mobile experience a top priority. Right on the heels of previous updates Penguin and Panda that affected a large number of English-language websites worldwide, the search giant is promising that this one will have a “significant impact” on mobile search results. Why the Push for Mobile Optimization? What is the reason for the forced push to mobile optimization? Since Google’s success as a search engine hinges on users successfully finding the content they are looking for, they have a vested interest in making sure that mobile users (more than half of searchers, and growing) are happy and contented. Which means a fast, intuitive, easy-to-navigate experience from any mobile device. The mobile-focused algorithm update is officially due to arrive on April 21 and there’s good reason to pay attention - brands that ignore the upcoming update and continue to provide poor mobile experiences will find themselves quickly falling behind as their sites lose ranking in Google’s mobile search results. While there are a number of factors that go into whether a site is considered friendly to mobile users, there are no degrees of being mobile-friendly in the new algorithm’s eyes. A site is either mobile-friendly, or it isn’t. To find out whether your own site passes the test, use Google’s convenient mobile friendly testing tool. Mobile isn’t the future any longer - it’s the present. And the current evolution to mobile from desktop is only going to accelerate more every year. Brands must have a comprehensive mobile strategy to compete in the new digital landscape. 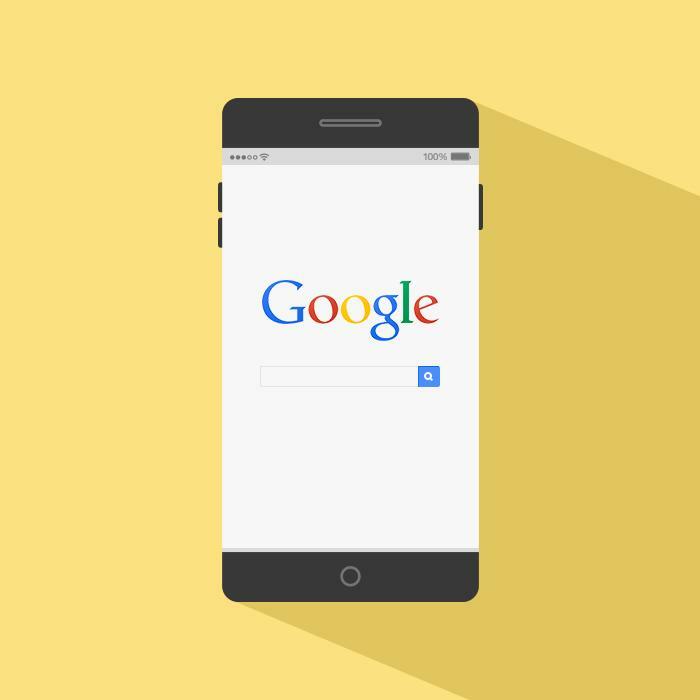 Google’s new mobile update will ensure that a streamlined mobile experience becomes a top priority for generating success online. Consider a mobile responsive site. Google prefers this configuration, where the same code is served on the same URL, regardless of device. Pay attention to site speed. Site speed is even more critical for the on-the-go mobile consumer. If your site takes too long to download, you risk losing them to a competitor. Keep it simple. The limited real estate of the mobile device makes extraneous information or design into a distraction. Test, test, test. Frequently test how your site is rendering on a variety of devices to avoid issues that could be roadblocks for your mobile customers. Published on April 1, 2015 .